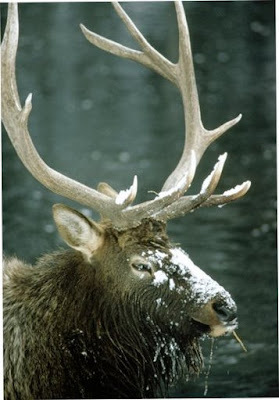 Dear Mr Elk 5-4-3-2-1 coming ready or not! Inspired by Ishi the last of the Yana people and Robin Hood. The surgeon, bow hunter, and Edwardian wag Dr Saxton Pope offers this thesis on bow craft and hunting. Thanks to the non-profit Guttenberg project the book can be downloaded for free! While the book is a thorough and enthusiastic introduction to making your own bow, arrows and hunting kit, it was also the first time I learned of ‘Ishi’ the last of the Yana people who lived to the east of Sacramento before the arrival of (or invasion by) Europeans. In 1911 Ishi, the last living Yana, starved and disheveled, walked out of the Stone Age and into the 20th century. The game scared away and the rivers poisoned by ranchers and cattle he must literally have been at the end of his world. At first he was found by the local constabulary and as no one present could speak his language he was deemed to be ‘mad’ and incarcerated. 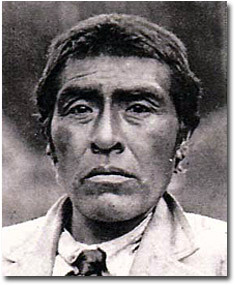 His arrival, coming only thirty-eight years after the Mill Creek genocide of his people, was announced in the local paper. Professor T. T. Watterman, of the Department of Anthropology at the University of California, came to Oroville to investigate. By some stint of good fortune the professor had a few words of the Yana language and was able to offer some comfort to Ishi and to give him shelter at the University. Everyone has their own symbolic ‘Ishi’ political, spiritual and to some of us the ultimate expression of the bush-crafter as craftsman and hunter. He lived at the university where he worked as a janitor and living exhibit demonstrating his skills as a knapper, bowyer and fletcher. Here is where Dr Saxton Pope joins the story: a surgeon by trade and something of a wag and an athlete by disposition, Dr Pope became Ishi’s physician and latter his friend and pupil in all things toxophilic. Dr Pope himself is from a time that has passed, while his language and views are those of a man of his social standing almost a hundred years ago. His wit and wisdom come across as clearly today as they would have beside the campfire. At a time when ‘progress was all, biggest was best, and most powerful meant most right, Dr Pope must have been quite the contrarian; befriending an ‘Indian’ learning his language and hunting techniques. And taking to the wilderness with a ‘child’s plaything’ in pursuit of the largest predators North America had to offer. Along with his physical courage what comes across in the book is his enthusiasm: whether it be for hunting Grizzly bears (Ursus Horribilis) on foot, armed only with “old horrible’, (a bow of his own construction), or his love and respect for his friends. After Ishi’s death from TB most of Dr Pope’s expeditions were with his great friend Arthur ‘Art’ Young. Wag, Edwardian gent, contrarian, friend and philosopher Dr Pope lead the American bow-hunting renaissance. Championing ethical hunting and the defense and preservation of the wilderness long before such interests appeared in the pubic imagination. I love this book and hope you enjoy it as much as I did, and between it’s pages find the inspiration to take to the field in pursuit of breakfast lunch and dinner. 1.Stone sheep aside, it’s renowned as the hardest hunt there is. To me bow hunting is a pure unadulterated expression of man’s ingenuity and the spirit of the hunt. With a HS Precision loaded with 200 grain .300 Winchester Magnum you can shoot to kill at 400 yards*. The commitment and skill required to kill ‘up close and personal’ with a bow is something such a noble adversary deserves. * How do I know? During my only rifle hunting experience, with zero tuition I shot and killed a moving White Tail Deer at 100 yards+ with the first shot I ever fired from a (non air powered) rifle.